Puerto Rico has a problem: a population of rabies-infected mongooses. The small American territory reports that 40% of its mongoose population has been exposed to the deadly rabies virus, and just last month the CDC published the first known case of rabies transmission by mongoose bite. This presidential election has been notable in many regards, but perhaps most conspicuously in the preoccupation of the media with the health of the Democratic and Republican candidates. At no other time has the American public scrutinized and debated the medical fitness and stamina of the two rival candidates. In celebration of today’s grand political tradition, Election Day, the health of the inaugural president will be discussed, the gentleman whose serene gaze graces both the quarter-dollar coin and one dollar bill, he of cherry tree and hippo teeth fame, survivor of more than a half a dozen deadly plagues: George Washington. It is one of my earliest childhood memories: I am three years old and standing by a bathtub, furiously scratching the itchy lesions just recently slimed with fluorescent pink calamine lotion in a vain attempt to alleviate the misery of chickenpox. Thanks to a wildly successful vaccine that has now vanquished what was once a ubiquitous viral infection, my memories of chickenpox are a woeful experience that few children today will ever experience. We humans are walking clouds of bacteria, traveling in our own effluvium as we pinball among our day-to-day activities, cross-pollinating our family and friends with our own microbial flora. But what about sneezing, one of man’s sillier bodily functions, and one that seems tailor-made for direct inoculation of friend and foe? This protective reflex that clears irritants from our nasal passages also serves as a wet phlegmy bullet train for bacteria and viruses to travel upon as they escape the dank tunnels of our airways. And so how exactly do microbes capitalize on this high velocity emission? An action shot of a sneeze emitted by a Mr. Fred Ott in 1894 using Thomas Edison’s kinetoscopic camera. Image: W.K.L Dickson. 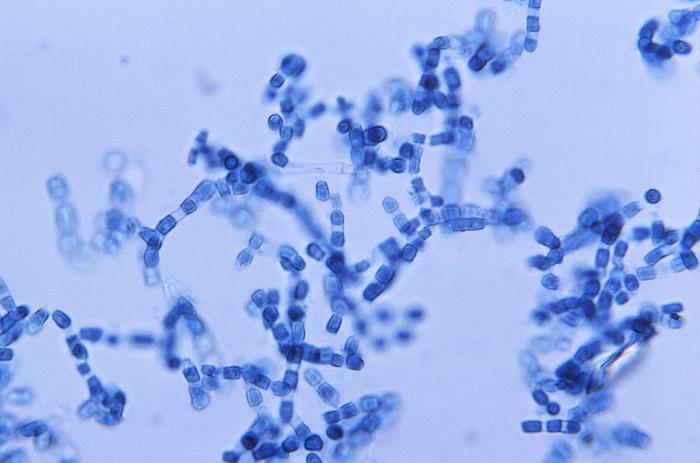 A massive heat wave in the tundra of northern Siberia has ushered a twentieth century anthrax outbreak into the modern age. Over the past two months, the population of the isolated Yamal-Nenets region has been caught off guard by a pair of unprecedented emergencies, first in the form of a punishing heat wave with temperatures reaching 95F (35C), quickly followed by an anthrax outbreak as the 75-year-old corpses of infected reindeer have thawed from their permafrost biohazard coffins. In September of 1939, Nazi Germany invaded Poland, marking the beginning of World War II in Europe. By the war’s end in 1945, Poland had suffered the deaths of more than five and a half million citizens – a fifth of her pre-war population – with the majority of these the victims of war crimes at the hands of the Germans. A large community in southeastern Poland, however, escaped persecution and the horrors of deportation and death thanks to an ingenious ruse employed by two Polish physicians. With the help of a sham “vaccine,” Drs. Eugene Lazowski and Stanisław Matulewicz fabricated a fictional epidemic that would save the lives of thousands. There’s nothing quite like syphilis. The sexually transmitted bug that sullied Christopher Columbus’ journey either to the New World or his return back to the Old – we’re still debating this grand chicken-or-egg epidemiological mystery – has deranged the minds of dictators and kings, was once a leading cause of committed hospitalizations to the psych ward, and even sparked fashion trends among members of the European royal courts who sought to cloak its debilitating, tell-tale symptoms (1). One of the most iconic works in American art – the painting “Christina’s World” – currently hangs in the Museum of Modern Art in New York City as a prized piece of Americana and one of the museum’s most popular exhibits. In his artwork, Andrew Wyeth, a master of American realism, honors a dear friend, a woman who is today both an icon and a true medical mystery. In fact, just over a half of the world has herpes. Over the course of the last year, the WHO released two articles exploring the prevalence of herpes infection worldwide and offering some hard numbers for an often overlooked viral infection. The WHO study uses the most recent estimates from 2012 and is the first attempt to calculate and identify the preponderance of herpes in the global population (1). What they find is that herpes is dang near everywhere and infects dang near everyone. The early twentieth century was a period of frenetic drug development, a seemingly endless series of pharmaceutical and medical discoveries: antibiotics to treat bacterial infections, chemotherapeutics to battle cancers, and barbiturates to tranquilize anxieties, among many others. A huge number of these revolutionary medical treatments were discovered in the first half of the 1950s, an unprecedented era of advances in chemistry yielding a pharmacopoeia that would transform disease and the practice of medicine. Authorities in Brazil have recently issued an unusual and unprecedented announcement to women: don’t get pregnant, at least not just yet. Amidst an intractable outbreak of the mosquito-borne Zika virus, public health authorities in Brazil are highly suspicious of an unusual surge of cases of microcephaly among newborn children. The Pacific broad tapeworm thrives in the guts of the sea lions that frolic in the waves of the Pacific Ocean, has been identified in the preserved poop of Peruvians mummified some five millennia ago, and is now making its way to seafood-loving Europeans through the briny conduits of the world-wide commercial fish trade. Three scientists that developed treatments for debilitating parasitic infections were awarded the Nobel Prize in physiology or medicine today for their ground-breaking advancements in tropical medicine. Infectious diseases have long been the companions of war and natural disaster. For those that barely escaped death in the calamities of antiquity, walking away with what appeared to be a light injury, the agony of a gangrenous wound or convulsive, back-breaking muscle spasms would deal an impending final blow. For centuries, a dreaded complication from an innocent blister or a bullet wound was the untreatable and catastrophic tetanus, caused by Clostridium tetani. It is common knowledge that the discovery of penicillin in the laboratory of Alexander Fleming radically changed the world of medicine and public health, allowing us to treat and cure once intractable and deadly bacterial infections. Less well-known is the winding road from discovery, past numerous roadblocks including production limitations and the second World War, to widespread use. A decade and a half of limited access to the world’s first antibiotic came to an end in 1943, when a prolifically moldy cantaloupe was purchased from a grocery store in Peoria, Illinois. We would double down in our battle against infectious diseases less than a decade later, when two female scientists inspired by the humble discovery of penicillin would identify the first known antifungal agent in the mucky soil of a Virginia dairy farm. Smallpox has haunted man for almost as long as we have been walking this earth. The variola virus that causes the deadly pox had been known to liquidate entire communities, towns, and cities since antiquity, stalking along trade routes and capitalizing upon human behavior and patterns of movement. Egyptian mummies unearthed from their tombs bear the pocked faces of fortunate survivors; Chinese emperors, Indian peasants, Russian Tzars, and Australian Aborigines – around the world, millions succumbed to virus in the centuries before the discovery of an effective vaccine. It was the work of the lunar god, a “disease of the moon,” thought the Mesopotamians. The Romans attributed it to demonic possession. Priests and peasants in the Middle Ages considered the “falling sickness” a contagious evil. Today our understanding of seizures and epilepsy rests not with lunar cycles or the supernatural, but with scientific insights into the developing brain and the pathologies of various diseases. We now know that there are over forty different disease processes that can cause the syndrome known as epilepsy, ranging from metabolic disorders to tumors, from trauma to congenital diseases. It seems to have started, as many things medicinal do, with Hippocrates. We may not understand precisely why, some 2000 years ago, the great Greek physician chose to insert the bladder of a pig into a patient’s chest and then inflate this porcine balloon. But it may have had something to do with tuberculosis and with the phenomenon of “pulmonary collapse,” which has had a surprisingly long and fruitful run in the annals of medical history. Ringworm is one of the most common and widespread childhood maladies. Deceptive in its naming, ringworm is no parasite but rather a fairly mild, though atrociously itchy, fungal skin infection that affects 300 million people worldwide. An infection with the contagious Tinea capitis fungus is usually summarily dismissed by means of antifungal medications, but for decades prior to the discovery of such cures in the 1950s, infections with ringworm and other species of fungus were as intractable and as challenging as their bacterial counterparts. The mid-twentieth century, as modern an era as it seems, marked the early days of effective antimicrobial treatments, and though practical pharmaceuticals for bacterial, viral, and fungal afflictions were on the horizon, they were still far from universally available. The cells of our immune system are the guardians of the human body, forever contending with various unwelcome intruders from viruses to drugs to lowly yet painful splinters. They are as industrious as they are indispensable. The plague is back, and this time it’s not thanks to far-voyaging ships or caravans traversing some distant trade routes, but to corn. This disease, caused by one of man’s oldest bacterial foes, Yersinia pestis, and spread by flea-infested rodents, is often overlooked in modern times in favor of more headline-grabbing epidemics like Ebola, HIV, and antibiotic-resistant STDs. But the plague has always kept close quarters with mankind and continues to surprise us with its adaptability. The measles outbreak emerging from “the happiest place on Earth” in Anaheim, California, is grabbing headlines and provoking conversation in the media regarding how best to appeal to parents opposed to vaccines. Using clear facts and appealing to common logic has failed, repeatedly. Blaming and shaming only seem to provoke heel-in-the-sand reactions and encourage retreat. So how does one persuasively sway opinion and convince the skeptics of the safety and utility of vaccinating against preventable diseases? Abracadabra! Many of us are familiar with this mystical incantation. Its arcane staccato and euphonious intonation has become deeply ingrained in our language through the word’s use as a magical catchphrase. The hex was, in my childhood experience, rather useless when it came to opening locked cabinets and provoking instantaneous transformations; nothing was conjured and very little materialized except for my own disappointment. But millennia past, this word was held in reverence, and it was used for a whole other purpose altogether. Abracadabra was not a silly-sounding piece of magician’s gibberish, but the “most famous of the ancient charms or talismans employed in medicine” and a powerful invocation against a very specific and very dangerous curse: malaria. In March of 1942, a young woman was dying of sepsis in a New Haven hospital. In just one day, she would be miraculously revived by a newly discovered experimental drug, seemingly by “black magic” as one consulting physician would mutter. The woman’s full recovery with the new antibiotic known as penicillin was the very first occasion of its usage in the United States and would jump-start the pharmaceutical industry’s interest in and manufacture of the drug (1). The Hajj, the pilgrimage to Mecca by millions of Muslims from around the world, is one of the largest gatherings of man on the face of the earth. This annual event took place just last month with relatively little fanfare from the news media, which is, from an epidemiological standpoint, a very good thing. Every year, public health officials wring their hands at the thought of possible outbreaks caused by the global pathogen du jour capitalizing upon the convergence of millions of worshipers in the Saudi Arabian desert. SARS stole the headlines in 2009, Middle Eastern Respiratory Virus or MERS had it last year, and Ebola seemed a likely contender for this calendar year. Chagas disease, caused by the protozoan parasite Trypanosoma cruzi, continues to make inroads in the United States and physicians are both unprepared to diagnose and under equipped to treat cases of the disease in their patients. 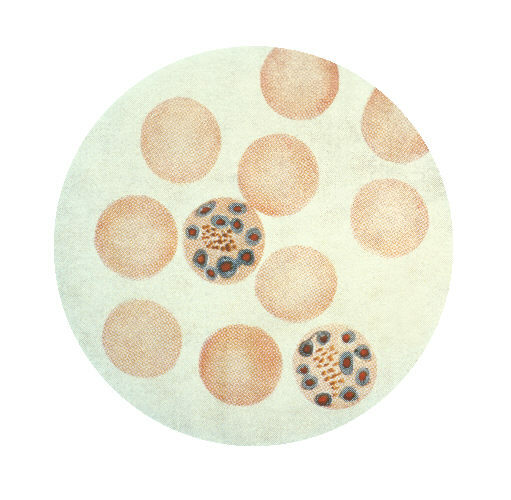 Chagas is a rare disease in the United States and has typically been associated with immigration from Central and South America, where the disease is endemic. The dynamics of the disease are changing, however, and strong evidence continues to emerge indicating that local infection is occurring among the American population, particularly in the southern states. Mining is low on the list of enviable occupations. The hazards one faces when plying one of humanity’s most ancient professions, burrowing deep into the earth to harvest its hidden treasures in the form of precious stones and metals, range from grungy to downright gruesome. The occupation is widely considered to be one of the world’s most dangerous, and it was only in the 1950s that the mining industry in the United States finally saw fatalities due to accidents dip under a thousand a year (1). Rose-thorn disease sounds like a malady of lovesick teenagers, an illness of romance reserved for budding Romeos and Juliets swooning from their first forays into passion and lovesickness, an affliction arising from the shocking stick and sting of heartbreak. The sweet name of this malady, however, in no way belies the actual crustiness of its symptoms. Microbes are the omnipresent yet frequently unacknowledged adversary on the battlefield. Though microscopic in size, their very macroscopic effects can decimate armies, foil the best planned war initiatives, and change the course of history. Last week, the State Department performed a small but smart gesture towards countering the continued outbreak of the Ebola virus in West Africa by releasing a video featuring President Barack Obama speaking to the people of Liberia, Sierra Leone, Guinea, and Nigeria. Just as we jetsetters and nomads wander the wide world’s winding roads and byways by foot, on horseback, atop a bicycle or packed into an automobile, so too do infectious diseases make use of our ever-improving networks of thoroughfares. They ride along in human bodies, their journeys fueled by our social mobility and contact, two factors unavoidably intensified anytime we embark upon a voyage. But as these pathogens travel new routes and encounter new bodies, they can change and mutate. Luckily for researchers, by examining commonly traveled routes where we once naively believed that only humans trod, the active evolution and epidemiology of a pathogen can be revealed, providing insight into the development and patterns of disease affecting mankind. Ask any political scientist: regime change has unforeseen consequences. The vacuum left in the wake of a collapsing leadership and the disorganization that follows, whether greeted with joy in the case of liberation or fear in the case of tyranny, brings unexpected change. For the central Asian states of the former Soviet Union in the early 1990s, among these aftereffects was the appearance of a curious and frightful little worm that saw, in the collapse of the monolithic political powerhouse, a bright opportunity for itself. The administrative republics of the former Soviet Union in the year 1989, prior to the independence of Soviet republics following the fall of the Berlin Wall. Image: Perry-Castañeda Library (PCL) of the University of Texas at Austin. Click for source. The public health game is a tough one to play. How do you achieve educating and transforming the public’s behavior for the common good without coming off as a bully or dour spoil-sport? The stakes are impossible: The indifferent audience, the management of the reproachful “tsk-tsk, you should know better” tone, and there’s only so many ways to proselytize a message of “getting one’s act together.” And where’s the cash for such endeavors? 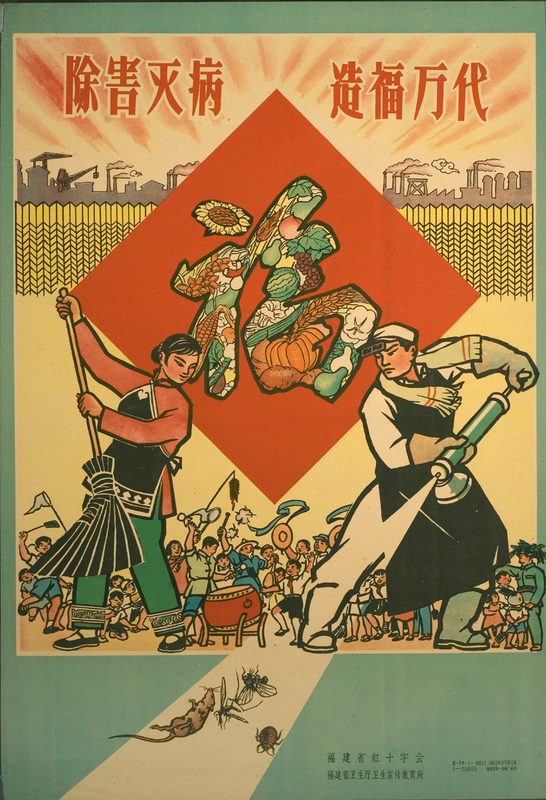 “Eradicate pests and diseases and build happiness for ten thousand generations.” A poster from September 1960 by the Red Cross and the Health Propaganda Office of the Health Department of Fujian Province. Note the industrial skyline, the healthy crop of vegetables in the center of the poster and the four pests at the bottom. Source: US National LIbrary of Medicine. Click for source. Well, it’s here. The mosquito-borne chikungunya virus finally trekked its way into the Western Hemisphere, arrived in the Americas, and has begun infecting Caribbean mosquitoes, confirming one of the worst fears of public health officials on this side of the prime meridian. This pathogen, notorious for its explosive outbreaks and debilitating joint pains, arrived on the Caribbean island of Saint Martin and has caused over 200 infections since December 5 of 2013. The outbreak marks the first time that chikungunya has been locally transmitted by native mosquitoes in the Americas. The professional musician who follows her dream of performing on the stage is greeted by an array of unusual occupational hazards. These are not limited to those late night hours spent in bars exposed to cigarette smoke and aggressive groupies but the risks of carpal tunnel, hoarseness, hearing loss, and the longterm effects of strange sleeping schedules as well. For those that provide their marching bands, funk joints, and jazz ensembles with that crucial brass sound, however, they may be at additional risk from a tiny threat hiding within their very own instrument. What could be hiding in this tenor saxophone? Image: Holbox. 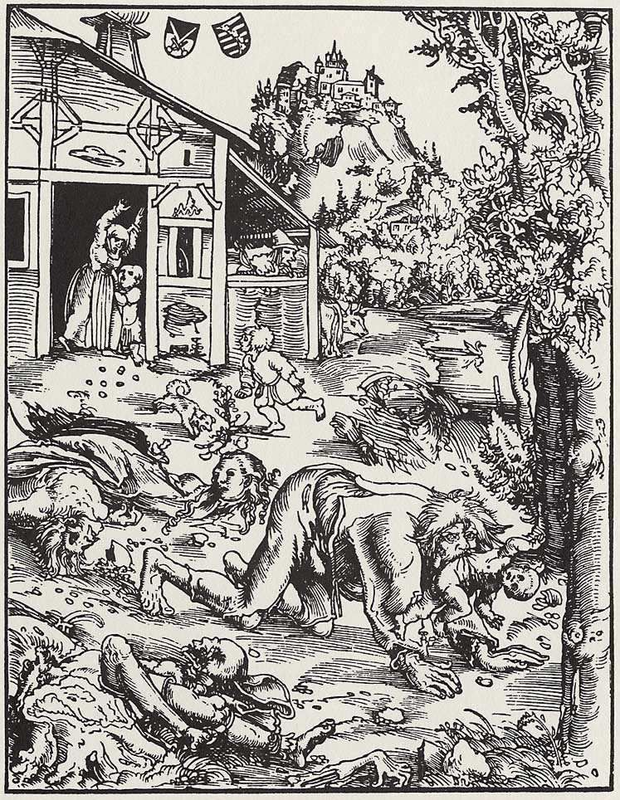 A woodcut from 1512 of an attacking werewolf by the German painter and printmaker Lucas Cranach the Elder. Image: Gotha, Herzogliches Museum (Landesmuseum). 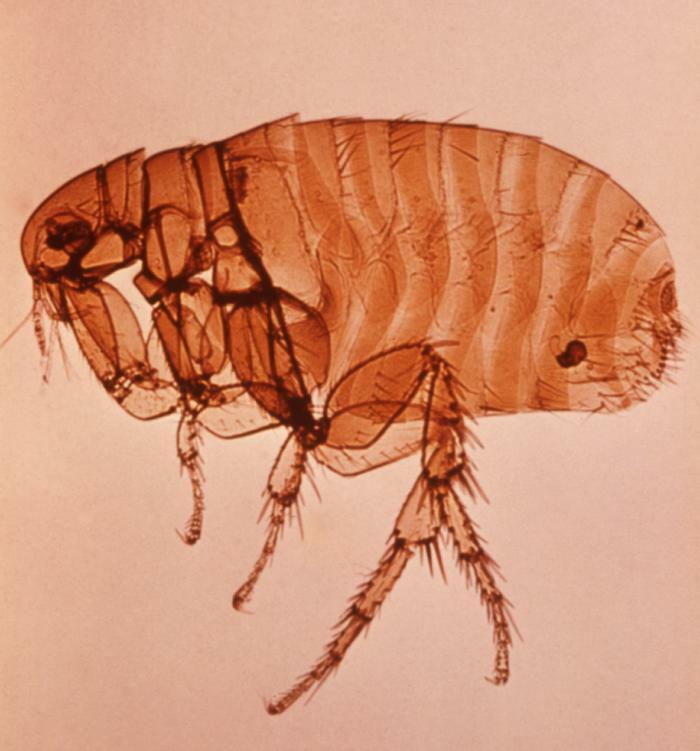 A female Xenopsylla cheopis flea, known as the “oriental rat flea,” one of the major vectors for transmission of the bacterium Yersinia pestis, the causative agent of plague. Image: CDC/ World Health Organization. Next week, the hot and happening place to be is in the Kingdom of Saudi Arabia as millions of Muslims gather to complete their pilgrimage to the sacred city of Mecca, a journey known as the Hajj. For public health practitioners within Saudi Arabia and beyond its borders, the Hajj poses serious challenges in the prevention and control of infectious diseases among the millions of faithful worshipers who seek to complete one of the five pillars of Islam. Pilgrims circumambulate around the Kaaba, a sacred Islamic building in Mecca during the Hajj. Image: Zurijeta. Vaccines were once thought of as an axiomatic good, a longed-for salvation in the form of a syringe, banishing crippling and deadly infections like polio, smallpox and tetanus. But within the past few decades we have seen the emergence of anti-vaccination movements and a rise in cases of childhood diseases that are entirely preventable with a quick jab to the arm. President Gerald Ford receiving the swine flu vaccine from his White House physician, Dr. William Lukash on October 14, 1976. Image: David Hume Kennerly. Source: Gerald R. Ford Presidential Library and Museum. Conjunctivitis is spread through particularly artful and gross means – the contamination of objects with eye gunk, smeared inadvertently hither and thither as a person wrestles with the itchy, gritty misery that defines what is commonly known as pinkeye. Many of us know that infectious diseases inevitably come from someone, some one, but we don’t often know from whom. Conjunctivitis is easy enough for the amateur Sherlock or epidemiologist-in-training – find the disconsolate soul with red, dripping eyes and follow the (sticky) trail. 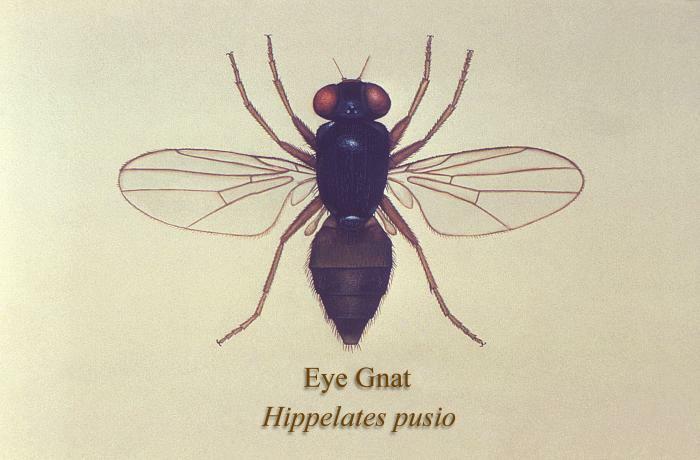 An illustration of the Hippelates pusio eye gnat. H. pusio derive nourishment from eye secretions and are most prevalent during the warm, summer months. Eye gnats are mechanical vectors in the transmission of species of Haemophilus bacterial organisms that are responsible for causing outbreaks of seasonal infective conjunctivitis. Image: CDC. You might be surprised to know that finding interesting articles on infections and infestations is a thankless and occasionally banal job. It is rare, as you find yourself trawling through the dusty and dense annals of Pubmed and Jstor, that you stumble upon a really good paper, the true gold twinkling among the pyrite of multisyllabic articles on viral proteomics, immunology and dull epidemiological trends in diseases. When you discover a treasure that renders you mute, like the one I recently discovered on a screwworm infestation that was wrangled by physicians with processed pork products, it’s like chancing upon a chupacabra in your backyard. The sight is both rare and awful, but also mesmerizing to behold. Also, you need to tell everyone about the chupacabra that you found. 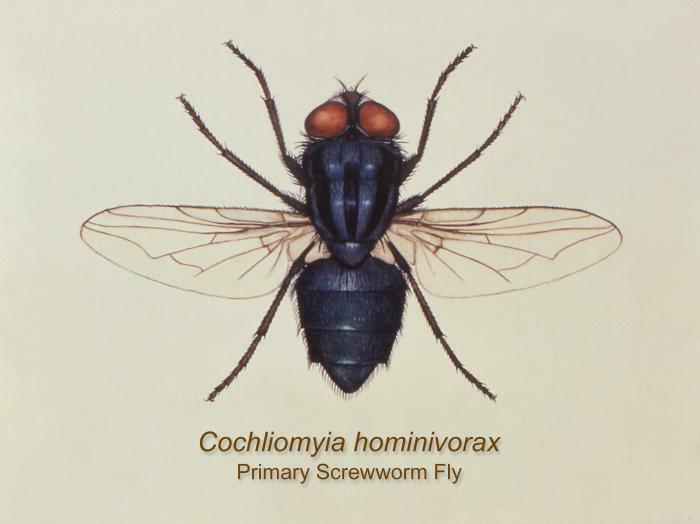 A dorsal view of the New World screwworm fly, Cochliomyia hominivorax, a member of the family Calliphoridae. Adult flies are the size of a housefly with a greenish-blue metallic body color and an orange face. The larvae are obligate parasites of living flesh in warm-blooded animals including humans, and can cause a parasitic illnes known as myaisis. Image: CDC. Japan is in the midst of a rubella outbreak that has already infected over 5,000 people in just the first four months of this year. Since the early 2000s, the country has undergone cyclical five-year rubella epidemics, with community-wide outbreaks cresting in the spring and summer. But in the past two years the number of infections has surged dramatically from a hundred-odd cases every year into the thousands, and a weird epidemiological pattern has emerged thanks to a quirk in Japan’s vaccination policy in the 1970s: 77% of cases in the rubella outbreak have occurred in men over the age of 20 (1). 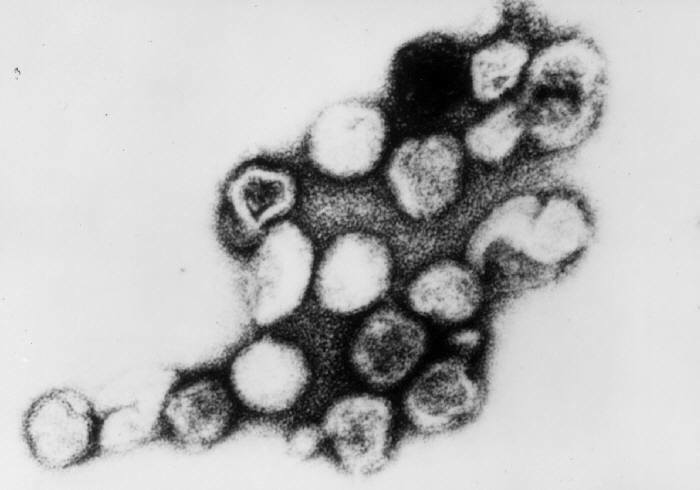 A transmission electron micrograph (TEM) showing an assemblage of rubella virions. Image: Dr. Erskine Palmer, CDC. Earth! Fire! Wind! Water! Heart! “Captain Planet and Planeteers” is a classic of 1990s television and may soon appear on the big screen as a live-action movie. The animated television series featured five earnest teenagers equipped with magical powers fighting eco-villains intent on destroying the ozone, rainforest and the wetlands and guided by the sage wisdom of Gaia, the spirit of Earth, and Captain Planet. Today, the program is recognized for its environmental “edutainment” pitch and the emerald-mulleted, square-jawed appearance of its titular superhero. Today in The New York Times coverage of a report published yesterday on a Saudi hospital-borne outbreak of Middle East respiratory syndrome released by The New England Journal of Medicine, a potential epidemiological phenomenon was briefly addressed: men have made up the majority of infected cases and the low rates of infection among women may be due to an emphasis on the wearing of the face veil, known as the “niqab,” in Arab culture. Spears. Bows and arrows. Swords. Guns. Bombs. Drones. Microbes. The evolution of weapons and forms of warfare shadows our technological advancements, from the field of metallurgy to that of microbiology. A 1942 American propaganda poster derived from President Roosevelt’s “Day of Infamy” speech following the Pearl Harbor attacks. The poster, and other forms of PSAs that followed, are exemplary of the domestic sacrifices asked of Americans in the face of war – even with the possibility of nuclear and biological warfare after WWII. Image: Library of Congress. Click for source. Parasites and viruses once thought to make their homes exclusively in exotic locales beyond America’s borders are now gaining a foothold in the country and they are exacting significant economic tolls and placing heavy burdens on health care systems. Neglected tropical diseases such as cysticercosis, echinococcus, toxocariasis, dengue, West Nile virus and Chagas have found their way into the country due to a synergistic combination of factors, including globalization, migration, trade and climate change. I am partial to the odd tipple and, as a resident of the licentious, enabling city that is New Orleans, I’m fortunate to be adequately supported in my booze-seeking ways by the high number of bars and restaurants within stumbling distance of my front porch. But what to do for those of us prohibited from indulging in one of the world’s greatest mood modulators, for those of us, say, incarcerated in America’s prison-industrial complex? In that case, American ingenuity and tenacity wins, always: become a smalltime craft brewer and make your own. 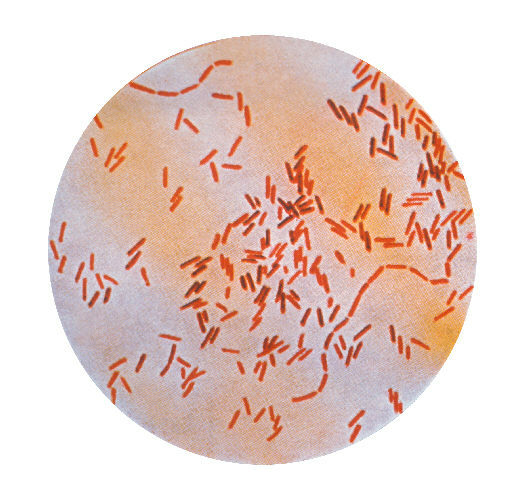 A Gram stain of Clostridium botulinum type A. 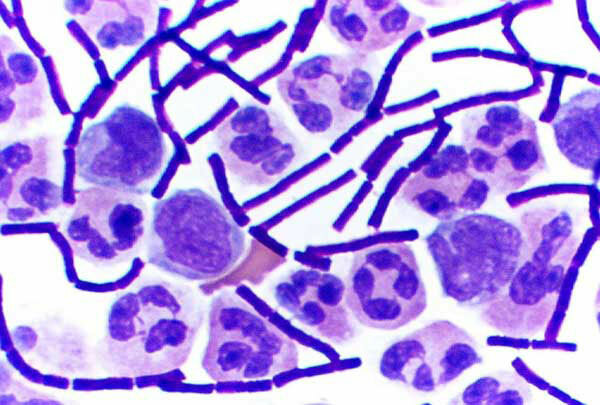 The spore-forming, soil-dwelling bacterium produces a nerve toxin, causing the rare, paralytic illness known as botulism. There are seven types of botulism toxin, classified alphabetically A through G; only types A, B, E and F cause illness in humans. Image: CDC/ Dr. George Lombard. I am one of the winners of a ScienceSeeker award! This week, I was honored with a Best Life-In-Science Award from ScienceSeeker for my article on the earliest known cases of HIV/AIDS, “The Sea Has Neither Sense Nor Pity: the Earliest Known Cases of AIDS in the Pre-AIDS Era.” There were some serious heavyweight contenders in this inaugural contest and I am beyond delighted that this fascinating story was recognized. It’s nice to be acknowledged (and rewarded!) for work that is largely spent in loud cafes while drinking bitter espresso long gone cold and staring helplessly at my computer keyboard. Thank you to the judges – Fraser Cain, Maggie Koerth-Baker, and Maryn McKenna and to ScienceSeeker for this distinction and award. The year 2018 has recently been declared our new target year for eliminating polio from the world by the World Health Organization, the Gates Foundation and Rotary International. It is clear that the next five years will pose no small challenge; we have spent over 60 years vaccinating millions of children and adults since Salk and Sabin’s discovery of viable polio vaccines, and we have long struggled in particular with three countries where the virus is endemic: Afghanistan, Pakistan and Nigeria. Photograph of a man receiving the smallpox vaccination by jet gun injector during the Smallpox Eradication and Measles Control Program in Niger, W. Africa in February of 1969. Image: Dr. JD Millar/CDC. A recently published paper in Scientific Reports has found that climate variability in the form of the North Atlantic Oscillation (NAO) has had a significant impact on the occurrence of disease outbreaks in Europe over the past fifty years. Researchers in France and the United Kingdom studied 2,058 outbreaks occurring in 36 countries from 114 infectious diseases from 1950 to 2009 and found that climatic variations and seasonal changes in air pressure across the continent attributed to the NAO influenced the outbreak occurrences of eleven diseases. Every conceivable route of transmission – by air, food, water and vector – was influenced by NAO conditions. Everyone has their own collecting quirk. I myself collect animal skulls, inconveniently large earrings and unusual stories of infectious disease cases and outbreaks. To each their own, yes? I’ve decided that, instead of stockpiling these stories away in some recess of my brain, I’ll be sharing them online in a new recurring series on Body Horrors called Microbial Misadventures. 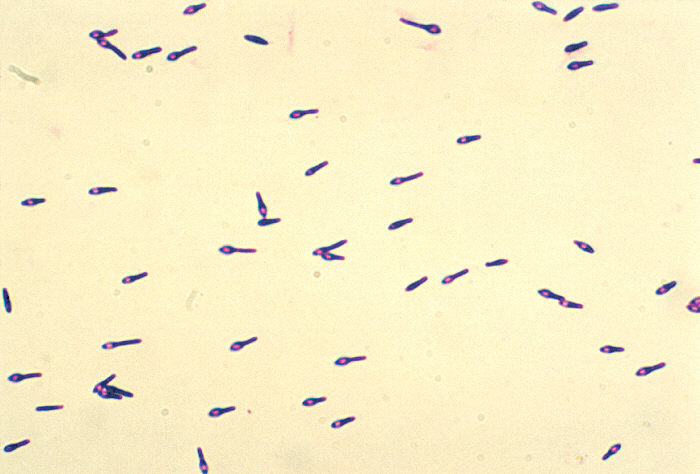 A gram stain of cerebrospinal fluid showing the characteristics rods of B. anthracis. Source: JA Jernigan et al. (2001) Bioterrorism-Related Inhalational Anthrax: The First 10 Cases Reported in the United States. EID. 7(6): 933-44. April! We’ve passed the vernal equinox and spring is springing, flowers are blooming, we’re shedding our sweaters and jackets and all will be warm once again. We can put our winter blues to rest and bask in the knowledge that summer will soon be upon us. Just two months ago, I had the distinct pleasure of acting not as a science scholar but as a research participant. Instead of having my face in a book, I willingly offered it to a woman who diligently scraped my forehead in search of Demodex mites. I know that it’s everyone’s humble dream to contribute their own exquisite arachnological flora to Science with an S and so, yes Reader, I can feel your oozing envy. Two recent studies that shed light on the inner workings of our bacterial ecosystems, otherwise known as our microbiota, have me musing on the nature of disease and pathology, of harmony and balance. The Wall Street Journal has a superb write-up of a Nepalese man infected with extremely drug resistant tuberculosis (XDR-TB) who is currently detained at the US border in South Texas. XDR-TB is resistant to four of the major types of antibiotics that are used to treat and control TB infections and this man is the first person with this particularly dangerous strain of TB to cross the border and be quarantined in this country (1). Today is World TB Day, commemorating Dr. Robert Koch’s groundbreaking 1882 discovery of the organism that causes tuberculosis. At the announcement of his research to the public, he declared, “If the importance of a disease for mankind is measured by the number of fatalities it causes, then tuberculosis must be considered much more important than those most feared infectious diseases, plague, cholera and the like.” Thirteen years later he would be awarded the Noble Prize for his discovery. Laissez les bons temps rouler! Tomorrow is the final and momentous hurrah of the Carnival season, which culminates with Mardi Gras, otherwise known as Fat Tuesday. In New Orleans, the city I call home, Carnival is a season of festivities, decadence, and tradition, one that is celebrated amongst neighbours and visitors alike. Our revelry is an egalitarian one – everyone is welcome to come witness and participate in Carnival. But for over a century, just a couple of hours away from the Crescent City, there lived a community of exiles, quarantined and barred from society, who were forced to forge their own Mardi Gras traditions. In honor of the biggest party of the year, I’m republishing my article on the celebration of Mardi Gras at one of America’s last leper colonies, just a few hours up the Mississippi river in Carville, Louisiana. The New England Journal of Medicine has released a remarkable set of images and a not-safe-for-the-squeamish video in their weekly feature “Images in Clinical Medicine” introducing the world to a gentleman infected with a six-foot parasitic worm. This was a strange and uncertain year. Given the tumultuous nature of 2016, it is probably no surprise that I found myself asking some strange questions that my readers seemed only too grateful to have answered.